news National construction firm Service Stream this morning revealed the National Broadband Network Company had renewed its contract to design and deploy NBN Co’s fibre network to greenfield developments (usually housing estates), in a deal which could eventually be worth some $140 million. The pair have had a relationship for greenfields estates since May 2011, when NBN Co appointed Japanese technology giant Fujitsu and Service Stream (then a contractor) to roll out its network in new estates, in a deal which was then worth $100 million over its first year. In a statement issued this morning, Service Stream said it was pleased to announce that it had renewed its contract with NBN Co for the design and construction of the fibre network to Greenfield New Developments Housing Estates. The renewal is effective from today and runs for two years, with two one-year extension options. In addition to the existing locations under the contract of New South Wales, Western Australia, South Australia and the Northern Territory, Service Stream may now also be awarded work in other regions. The agreement is expected to generate an estimated $70 million in revenue across the initial two-year term with the potential for additional revenues from other regions, with a further $70 million potentially arising from the two one-year extension options. Despite the renewed deals, Service Stream hasn’t always had a rosy relationship with NBN Co. The company’s joint venture with Lend Lease, Syntheo, had initially held a substantial number of NBN contracts, but was forced to hand substantial portions of the work back after it was unable to meet its contractual obligations. Visionstream secures two year extension to NBN Co contract for New Developments in Queensland, Tasmania and Victoria. 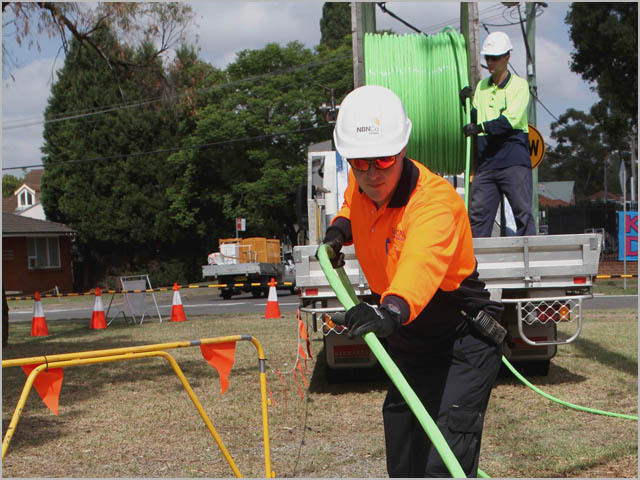 Visionstream Australia Pty Ltd (Visionstream) today announced a two year contract extension estimated at $90 million to its long-term engagement in the design and construction of fibre optic networks for new development estates across Victoria, Tasmania and Queensland. Visionstream has successfully delivered the new developments program for NBN Co for the past two years and will continue the program, for another two years with an option of two one-year extensions. The new developments work includes the design, construction and commissioning of pit, pipe and fibre optic cables within new estates across the three states including the Temporary Transit Fibre Network. Interesting, especially given the problems previously covered on them…I guess there aren’t many companies in Australia big enough to service something this large.